Remarkable things happen when the world's most individual malt matures for 25 years, partly in the finest Oloroso sherry casks. This extremely rare Laphroaig has acquired an initial nose of sweet apricot, red apples and dark chocolate, followed by the aroma of Islay peat. 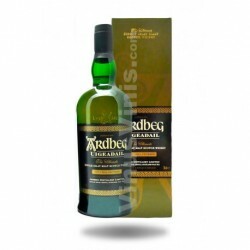 Those who have discovered their rugged, richly flavoured malt whisky will recognise the traditional burst of peat that fills the mouth upon first taste, then be delighted by the sherry and vanilla sweetness that comes through with a soft dryness. 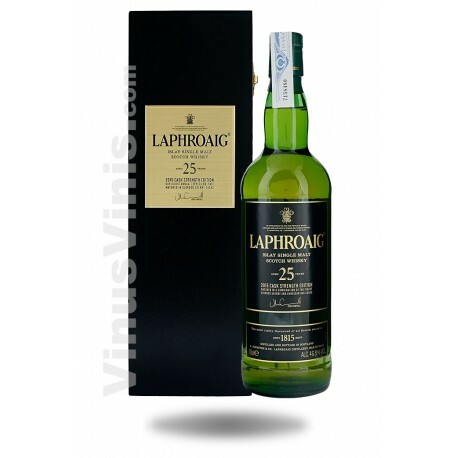 Laphroaig 25 year old is one of the most unique of all malt whiskies. Savour the exceptional character of this expression whilst you can. Nose: Initial sweetness of soft Demerara sugar and baked red apples. With the addition of water, of aromas of cinnamon and vanilla are released, followed by the subtlest hint of rich, dark chocolate. The distinctive Laphroaig smoky peat aroma underlies the spiced apple scents. Body: Multifaced with great depth. 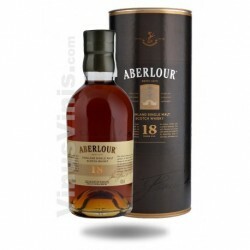 Palate: The initial taste is oaky dryness combined with peat that tends to overpower the sweeter flavours. 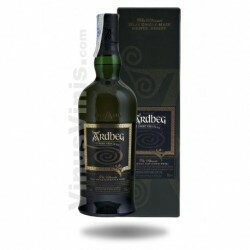 Adding a trace of water however allows the sweetness to come through with a soft dryness, before a strong peat tang and a salty touch of the ocean appear. 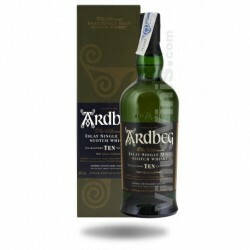 Finish: A long finish with a mix of peat, salt and oak.